Replacement dieholder for our Long-Reach 2in. 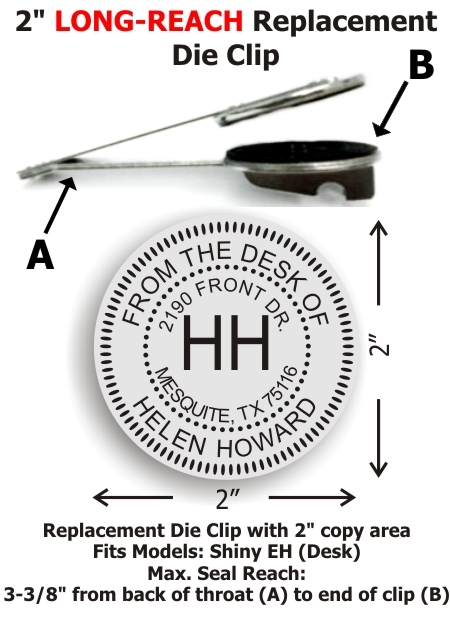 (diameter of die plate) Shiny® HD Desk embosser. Long-reach throat allows for an impression reach up to 2-1/4in. from edge of paper. Normal production time - 24-48 hours (excludes weekends and holidays).